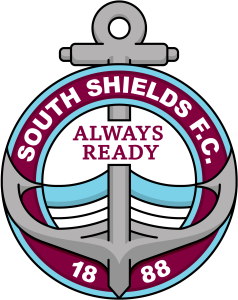 Graham Fenton declared himself delighted with the progress of South Shields’ academy players after two more impressive victories were delivered on Wednesday. While one team defeated Eccleshill United 5-0 in the National League Under-19 Alliance, another young Mariners side beat Gateshead College 1-0 in the ECFA Premier League. Fenton and fellow joint manager Lee Picton split responsibilities on the day, with Fenton overseeing the win over Gateshead College and Picton steering Shields to victory at Eccleshill alongside head of youth performance and development Jamie Williams. The win against Gateshead was sealed thanks to a second half goal from Stevie Black, and Fenton was pleased with the performance against the league leaders. He said: “We controlled the game, particularly in the first half. “In the second half they played a high press, and we managed to open them up three or four times. “Stevie Black showed great composure to win us the three points in the end. “He burst into the box and shaped to shoot, sent two people to the floor and finished well. “It was a really, really good finish. “We dominated the majority of the game and fortunately produced the one bit of quality in the game. The game was notable in that it marked a first involvement with the academy for goalkeeper Aaron Steavens, who played against the club’s first-team in the Durham Challenge Cup for Chester-le-Street Town in December. Meanwhile, Max Cowburn and Junior Marcelino both scored twice in a 5-0 win at Eccleshill in the National League Under-19 Alliance, with Will McCamley also on the scoresheet. The victory was secured in difficult circumstances after the young Mariners lost two of their back four to injuries within the first 10 minutes, with Harrison Devine and Tom Bexton both forced off. A reshuffle saw Olly Scott moved to left-back and Arron Thompson into an unfamiliar central defence position, but he excelled and turned in a man of the match display. Williams was pleased with the display against an Eccleshill side which was reduced to 10 players late on. He said: “The first half was very competitive against a physically capable side, and there were no goals before half-time. “Losing two of our backline in the first 10 minutes didn’t help, but Arron did superbly well at the back and was probably the best player on the pitch on the day. “We were restricted to just a few half chances in the first half. The best of them was a free-kick from Max which hit the post. “In the second half we showed a lot more character and Will McCamley scored early before we went on to control the game from there. Supporters’ Association to hold meeting at Mariners Park – all welcome!